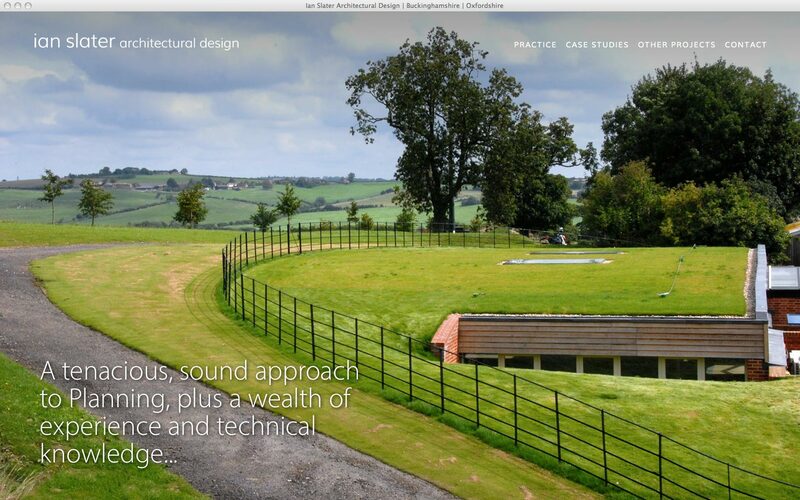 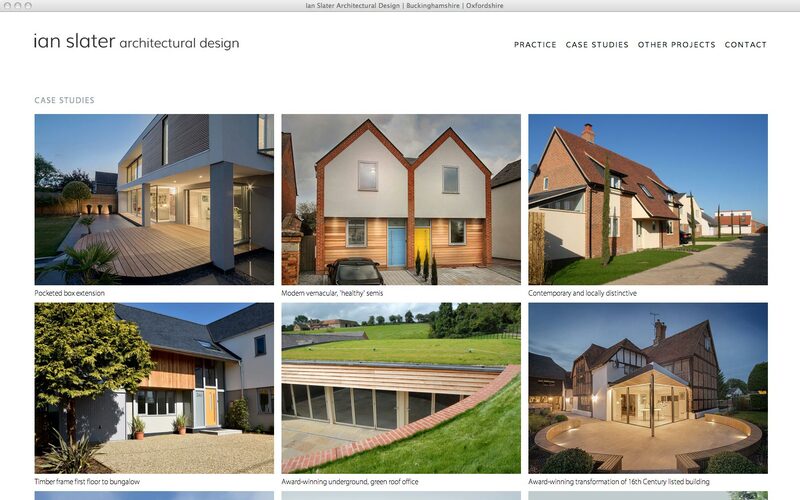 A recently redesigned portfolio website for an award-winning architectural design practice. 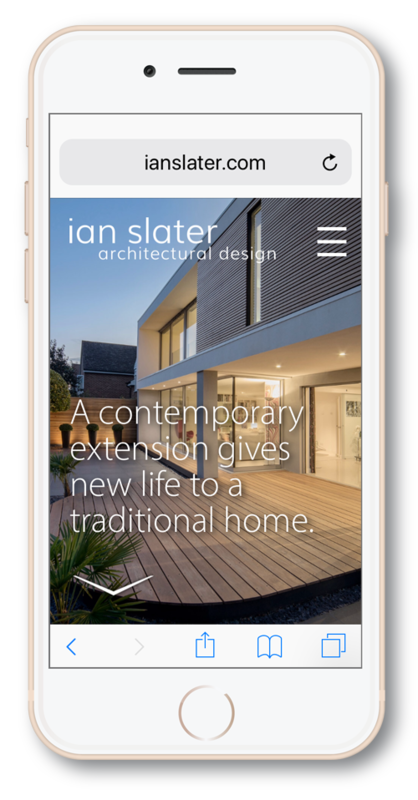 Ian Slater's award-winning design practice offers diverse and innovative architectural solutions to the residential sector. 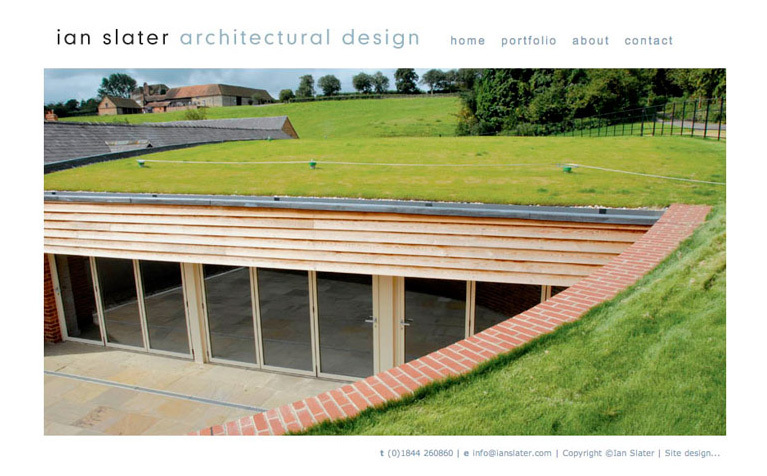 Our first website design for Ian Slater served the practice well for 10 years. 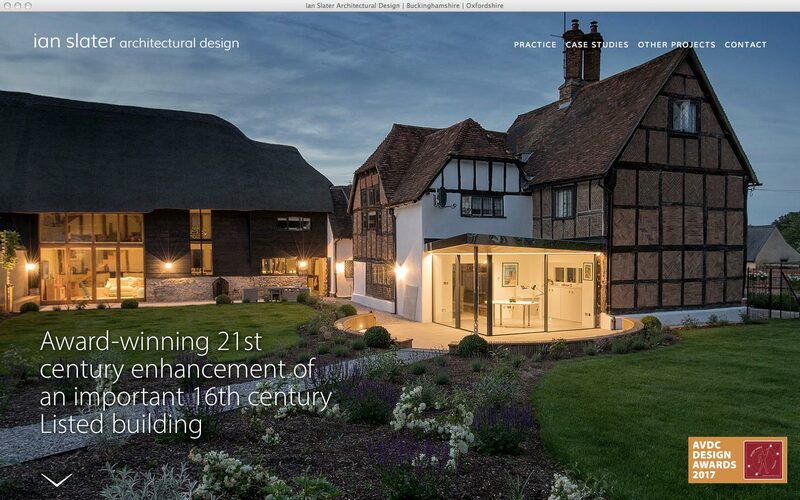 Established in 1983, the practice places an emphasis on good design over big design and has an impressive portfolio of completed projects in the Oxfordshire and Buckinghamshire region. 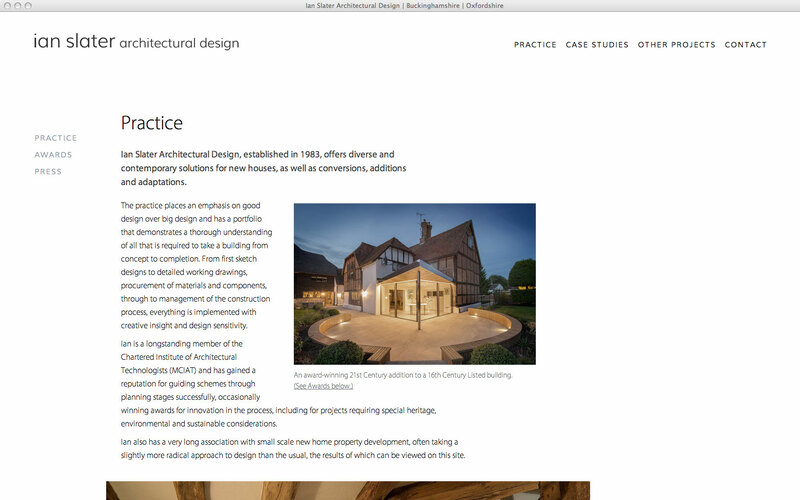 This is the second website design we have created for Ian, the first in 2008 when portfolio websites had fixed dimensions. 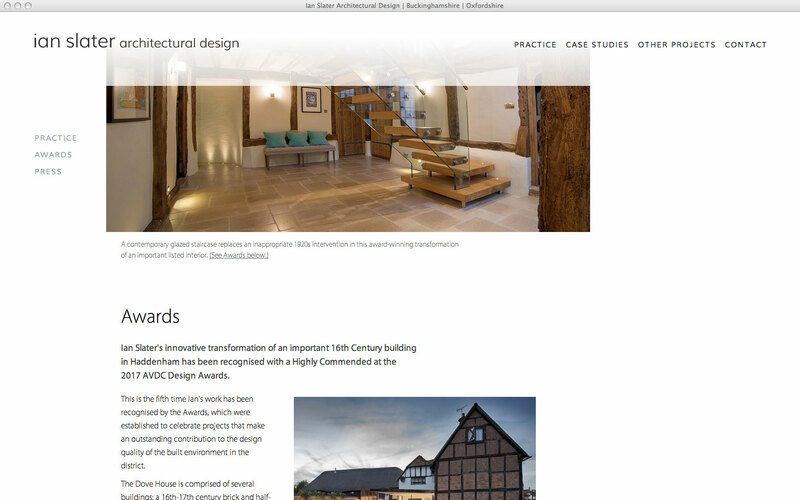 Although it had served him well, 10 years is a very long time in the world of web design, and in the development of a practice. 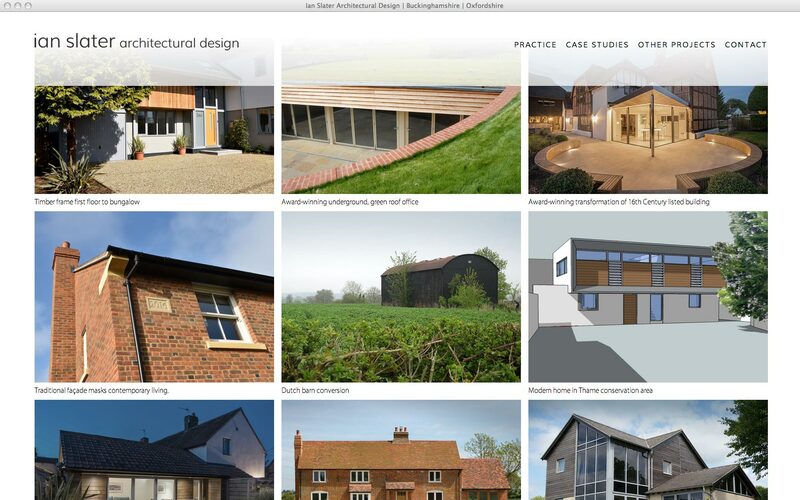 So, it was not only time to bring it up to date technically but also to reflect change in the type of projects the practice now undertakes. 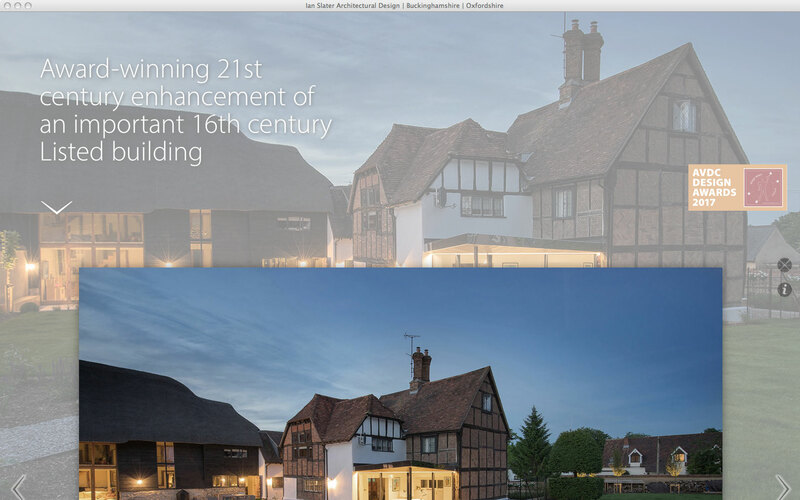 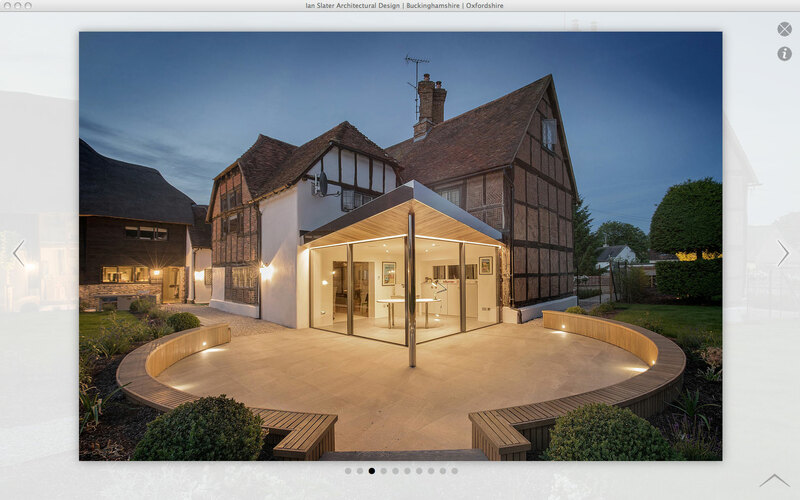 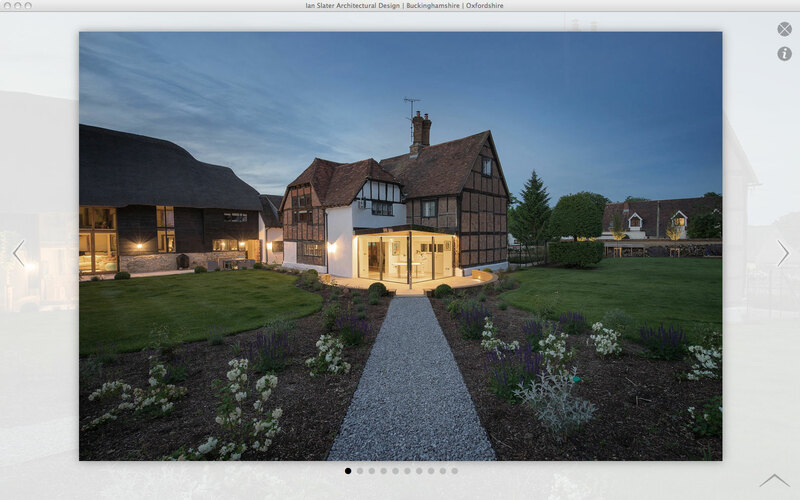 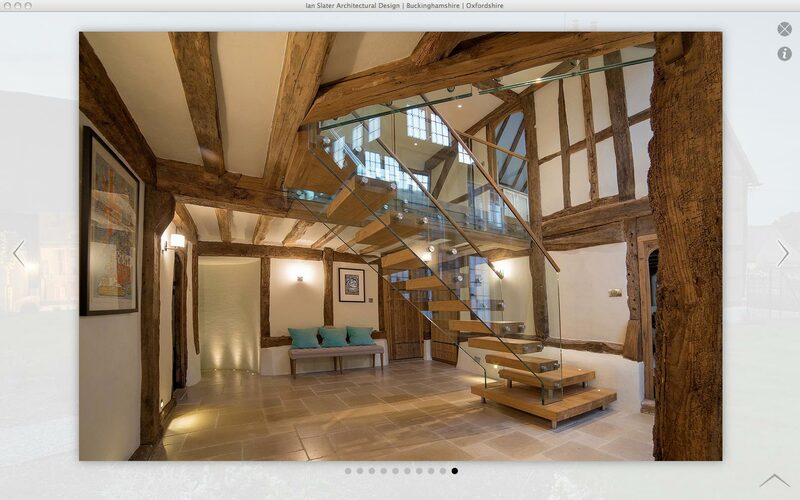 Ian wanted the site to be visually engaging, making the most of the new photography and cgi animations he had commissioned, but he also wanted to keep some of the simplicity and economy that made our original design so succesful, avoiding the tendancy that architectural design practices often have to stuff their websites with too much content. 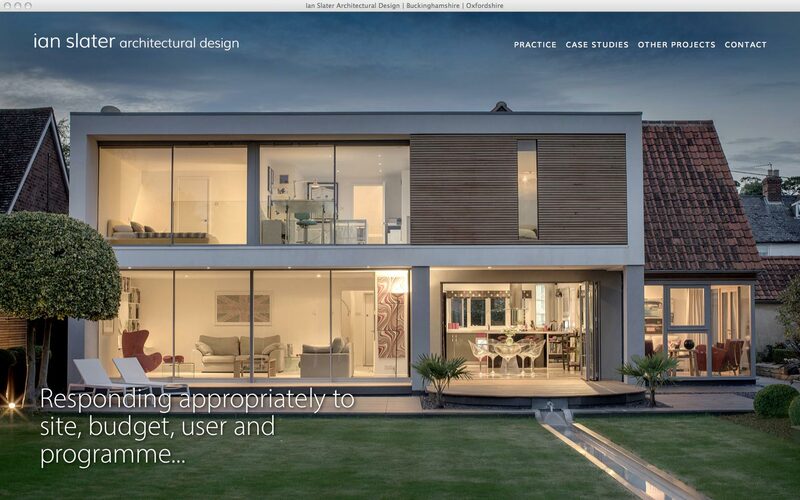 We believe we achieved that whilst also making the site fully responsive for mobile devices. 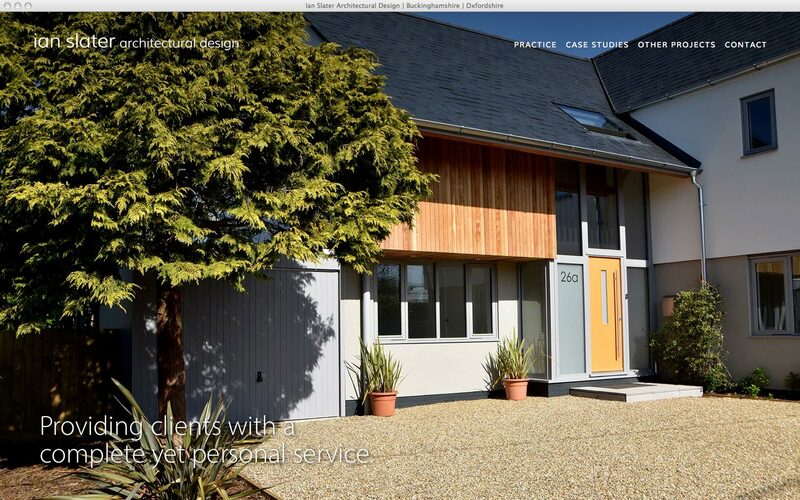 James listened, advised and skilfully produced a website that delivers all I asked. 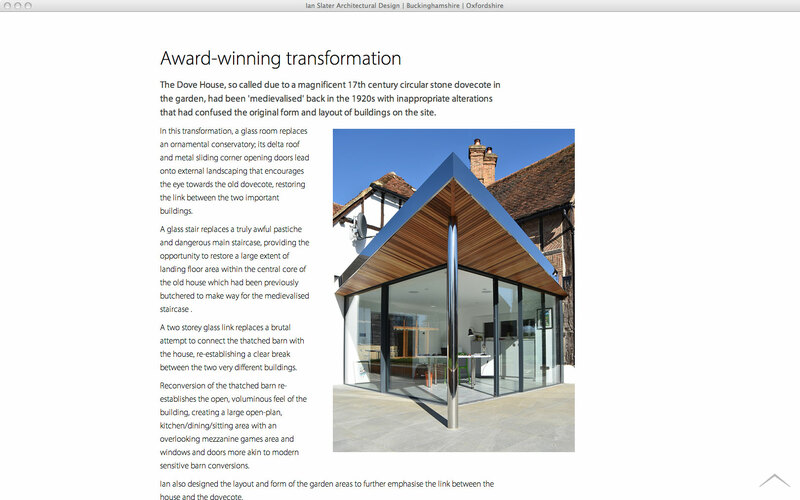 The result is a well-crafted, individual and stylish portrayal of the work I do, which existing clients, colleagues and friends have admired, not least new clients drawn not only by the content but its ease of use across all devices.